This is a sighting/encounter report that was recently sent to me. At the request of the witness I will not disclose the actual location of the encounter, but will just let you know it took place in Oklahoma. 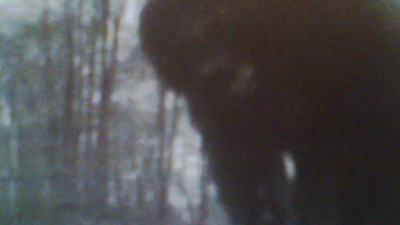 A family had went on a hunting trip up in the mountains and a bigfoot came to their camping area. Here is the report as it was told to me by the witness/relative. 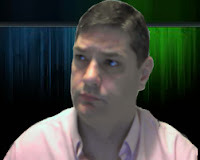 "They (The group) pulled a camper up on a mountain to hunt. It had recently been clear cut. Brian (my uncle) got back early from the hunt. They had a generator but with the full moon he didn't need the lights, just the stove, and he was hungry. The moon was full and the window in front of the stove had been broken. They had put an old tarp that had a few small holes in it over it (the window). He was frying some bologna and he said that everything just went dark. And he heard breathing. He thought the rest of the family had snuck in and was trying to scare him Cuz he was only 16. He tried to look out the tarp to see who it was and started telling them he wasn't falling for it. He noticed the silhouette against the moon. It was massive, easily taller than the trailer. At this point he panicked. He went for his muzzleoader and it was one of the old ones you had to put a cap on. He recalls shaking so badly he couldn't get it on. As he was trying to put the cap on, a large finger came inside the tarp (through one of the holes), curled and pulled it (the tarp) off. He turned on the lights and two eyes, he said, were far too far apart to be human, were reflecting back at him. He stuck the gun as close as he dared and told it he was gonna shoot and thought if it was a man that would have scared him off. He said it blinked and stayed there. It started rocking and shaking the trailer and then just left. Well, at this time my family was driving down the road towards the trailer. They all agree, as soon as the lights hit the trailer, Brian crashed through the trailer door and was sprinting to the car. He actually jumped in an open window screaming there was a demon and not to go back there. He made them take him home. The next day they got to the trailer the bologna was gone and dents where in the top of the trailer." This happened in the early 1980's according to what I was told. 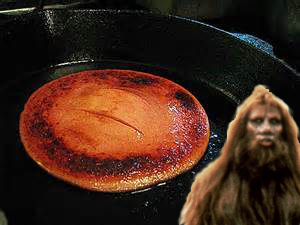 I for one sure can not blame ol bigfoot for getting after that fried bologna. Fried bologna is one of my favorites. I also understand not wanting to give away the exact location of this report. I have seen it all too many times, where someone gives the location of a sighting and the wrong people go in there and try to hunt one or something. So, I will just say thanks to the "person" who sent in this report. I enjoyed it.